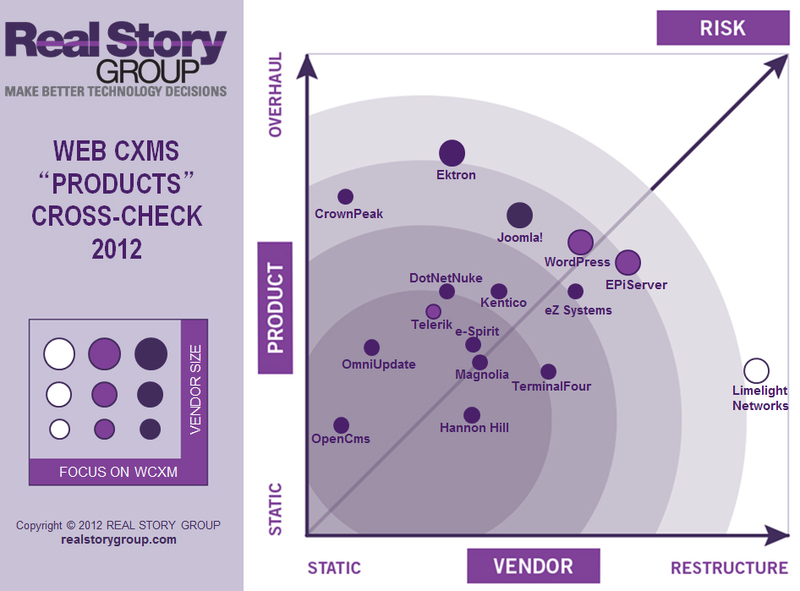 Yesterday we published an updated "Cross Check" marketplace analysis, which identifies potential problems and opportunities for all of the WCXM vendors we evaluate. The two charts below are republished from that briefing. We've found it useful to organize vendors primarily according to complexity and power. Specifically, we make a distinction between "platforms" and "products." See this advisory briefing for more background on this division. 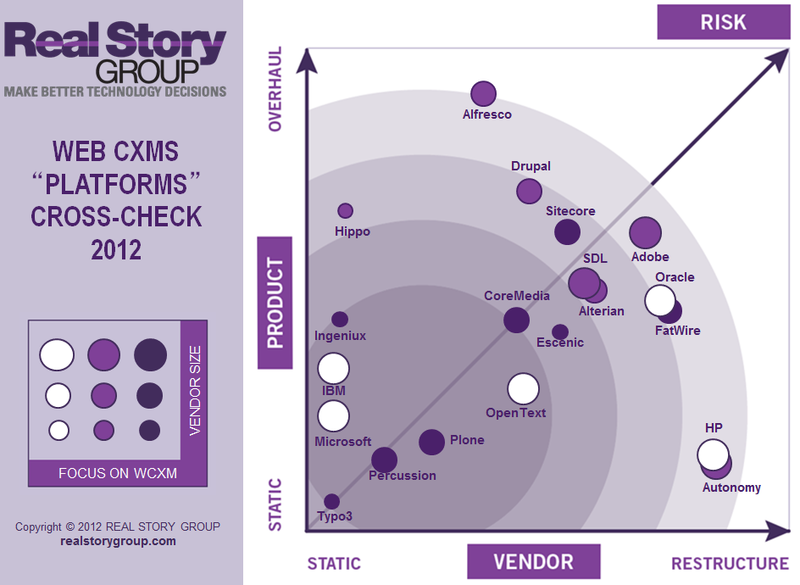 These charts represent four key dimensions -- Vendor Size, Focus on WCXM, Vendor Evolution, and Product Development -- that supplement functional and cost analyses in any major procurement decision. In committing to a purchase, you are also committing to a short-term implementation — and a long-term relationship. There are always risks in both timeframes. As always there's no "right" or "magic" or "leader" location. Buyers with strong internal IT processes and a predilection for early adoption may favor a vendor undertaking fundamental changes, on the grounds that they may be able to influence roadmaps and new technology, as well as "leapfrog" competitors that are stuck with older tools and approaches. Other customers may prefer a WCM supplier evolving at a more moderate pace, while still others prefer a very conservative approach. Each of you will rate the importance of these dimensions differently and we encourage you to make use of these visualizations in the broader context of other considerations in your selection process. To understand why we placed particular vendors in specific places on the chart, Web CMS research subscribers can download our 8-page background briefing.